HEALTH: How playing outside impacts your well-being. Back in February, I developed a case of Sciatica which landed me in bed and out of commission for close to a month. The pain was excruciating and the cause was most likely having spent too much time sitting and working and not enough time getting outside and enjoying movement and fresh air. As a result, I have become even more acutely aware of the impact of spending time indoors chained to either a computer or an easel. At a time in life when most friends have families of their own, I have also really begun to notice how much time kids spend playing on electronic devices inside (such as the dreaded iPad), rather than running around outside playing Tag, making camps or just generally having fun in the garden. It's now a subject I frequently raise with parents when the opportunity presents itself. I'm keen to take some time out after my forthcoming exhibition to assess and revise the work that I produce and how I can deliver a more potent message. In this TED Talk, Craig Childs delivers a funny, informing and passionate lecture on how playing in nature impacts your well-being. My next exhibition is now six weeks away and so the wheels of organisation are now kicking into gear. The exhibition will be held at the conservatory at Came House in Dorchester, which is surrounded by stunning landscapes of woodland and open fields. This is a great opportunity to get out of the house, see some beautiful artwork and get some fresh air in your lungs! I have twenty or so new paintings which I am excited to share with you, so if you would like to come along, please get in touch so that I have a rough idea of numbers. More information and updates will be posted in the next few weeks. HEALTH: Get hooked on nature. It's so good to see that the message of this issue is breaking into the mainstream and being received with a recognition of its importance. Ben Klasky delivers a short presentation on some of the benefits of spending time in nature. Spring is here, time to stop hibernating and get outside! One Minute to Sunshine is a scene taken from studies of Stair Hole, just around the corner from Lulworth Cove in Dorset. It was early in the morning and the sun had just risen over the horizon. The inspiration for this picture came from wanting to share the feeling of being in shadow and knowing that any minute the sun would appear and bathe you in a blanket of warm morning sunshine. Please feel free to leave any comments, suggestions or questions in the box below. Your feedback can help me to produce more of what you like! Thank you, HB. NEWS: Work on display at The Frame Gallery, Odiham. 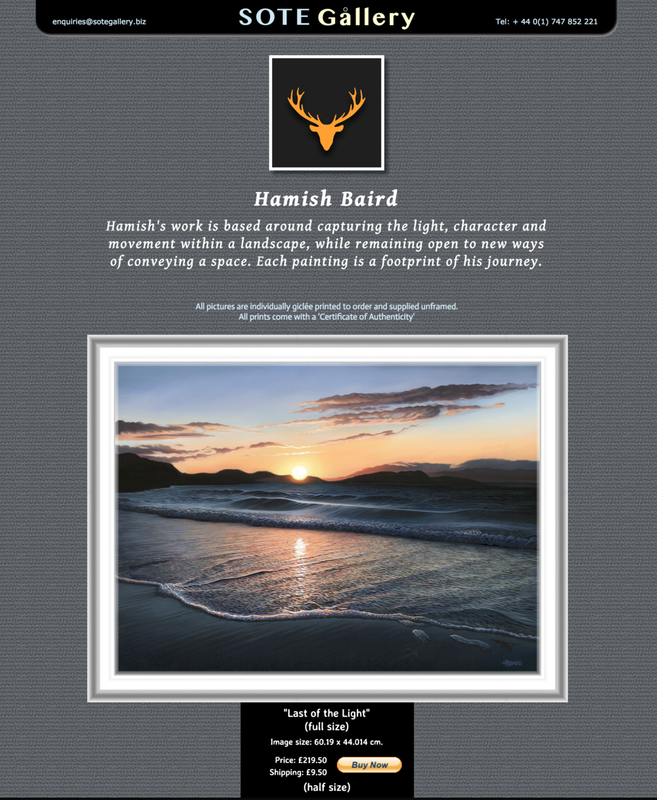 I am pleased to announce that a six of my paintings are being exhibited in The Frame Gallery. One of my goals this year is to reach out and find three galleries that I can work with this year, so to have this opportunity with The Frame so early in the year, is tremendous. Jan Baker runs this little gallery from the central spot on high street of Odiham in Hampshire. The gallery has built a reputation on its professional framing service, as well exhibiting a variety of artwork from local artists, to more established masters. Paintings will be available to view from Monday 22nd January until Saturday 17th February, 2018. The Frame Gallery - Front of House. 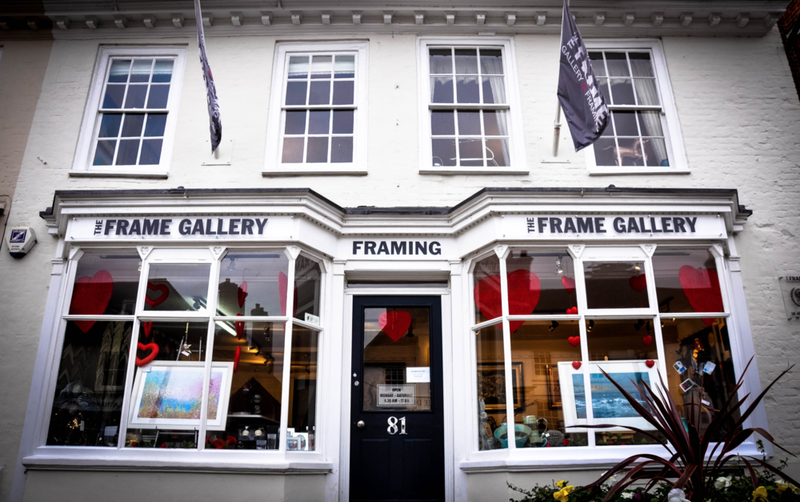 The Frame Gallery - Flying the colours. I'm going to be posting more material like this throughout the year, but I thought I would post this one now as it's simple, well-shot and nicely narrated. NEW PAINTINGS: Five new paintings for the end of the year. Here are the last five paintings of 2017. In the new year, I'm hoping to push my work in a new direction. 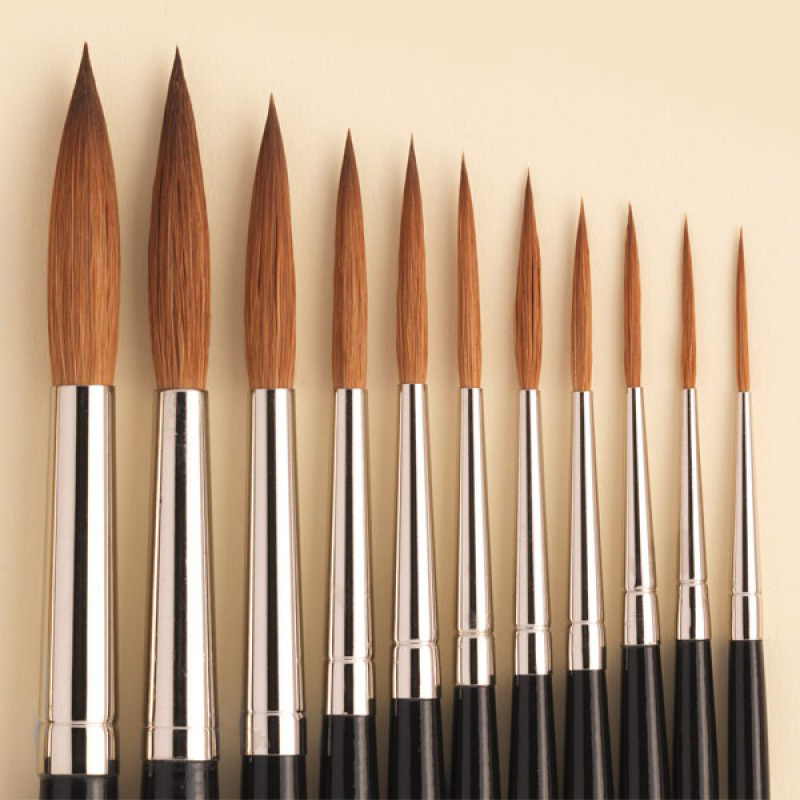 Amongst other things; to loosen up the style and allow in some more energetic brushwork. I will also be looking to engage in more painting outdoors. In the spirit of finding new ways to express texture, I set about testing a traditional icing bag with its selection of different nozzles. A few of the results are encouraging and worth further experimentation. I would add that this was by far and away the messiest paint session I have undertaken in a long while, so if you decide to follow suit, I would definitely suggest using gloves! I have recently found another method of creating texture and will show you the result once I've had a chance to create another test board. Today's the day! After a manic week of planning, testing, moving, ordering, collecting, installing, building, hanging a tweaking, the day has finally arrived! It's all looking awesome and I'm really pleased with how it has turned out. I'd like to say a massive thank you to Rags Norton for inviting me to hold my exhibition at Came and to Nikki Hawkins for her incredible energy, enthusiasm and support over the last couple of weeks. I couldn't have done it without you both!! To those of you coming along to the exhibition, I'm really looking forward to seeing those of you I know, and equally excited about meeting a whole new group of people who have chosen to spend some of the weekend dropping into the exhibition. I hope you enjoy it. Finally, for those of you who have not got in contact yet but who would still like to come along, please drop me a line and I'll send you the details for the venue. Thanks and see you this weekend. Work for the exhibition has picked up momentum this last week and I'm happy to report that it's all beginning to take shape. Checklists and To Do lists are rapidly reducing, leaving me confident about next week's final push. - The boards are now painted (thanks to the wonderful Nikki Hawkins!) and have their fixings in place - ready to be hung. - The lighting situation is almost sorted, with some new upgraded LED bulbs ordered and ready for delivery next week. - All sorts of spreadsheets relating to invites and paintings have been created to manage expectations and handle logistics. - All the paintings are now framed and complete and I'm pleased to say they're looking pretty sweet. The photo on the top right shows the last four large paintings having returned bubble wrapped from Dorchester Framing. I haven't posted the final photos of these yet but will upload them to the website next week. - Finally, (and probably and most importantly) the wine has been ordered! NB: Really getting pretty excited now. If you haven't already, drop me a line to let me know if and when you're coming. The last of the paintings are now framed. Thanks be to Arts Reach in Dorchester for providing some illumination! Testing the lighting on one of the boards.